Individuals who host many parties know all about the many factors that go into being an excellent host. Ensuring that the party guests have a gre at time, these hosts pay attention to all of the little details that separate a nice get-together fro m an amazing party. For homeowners with a knack for entertaining, choosing the best flooring for par ties is essential. Durable flooring will ensure that cleanups are quick and that the only evidence lef t behind are good memories instead of floor damage caused by heavy traffic, spills and other accidents. In order to choose the best flooring for your home, it is essential to consider both your personal tastes as well as practicality. 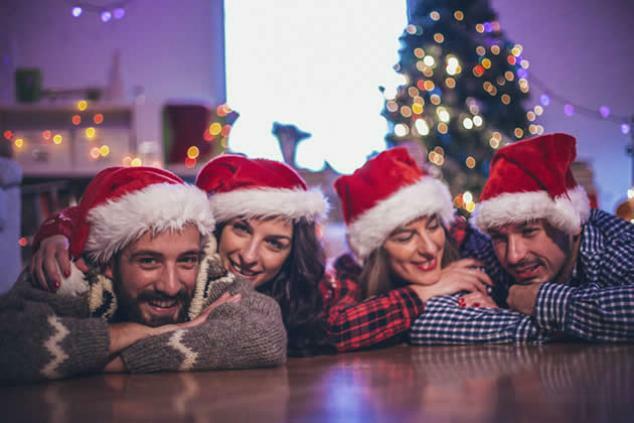 Other considerations to keep in mind are how much traffic your floors will see, how many people typically attend your parties and the amount of clean up you do pre and post party. When choosing flooring, settle on cho ices that can withstand not only human traffic but also pets and movement of furniture. Additiona lly, consider that even the most courteous guests will occasionally spill food or drink on y our flooring. Concrete floors are the most durable however, there ar e very few homeowners who would consider the installation of concrete floors. Flooring professionals can install a concrete floor that looks tasteful; however, even in these conditions, y our floor will still be concrete. Stone flooring is also considerably durable and easy to clean. An import ant consideration is that marble flooring does wear down faster than most individuals would expect. Tile flooring is easy to clean and durable. Spills are eas ily and quickly cleaned off of this type of flooring. Drawbacks for those who frequently host parti es, however, are that if heavy items are dropped on a tile floor it will more than likely crack. Resilient vinyl flooring is also easily cleaned. This floo ring is water resistant and has been compared to Tupperware for your floors. Resilient vinyl fl ooring comes in two types - sheet and tile. Tile resilient flooring has many seams and, as a result, can be less durable with the rare occurrence of long standing water. Linoleum is a popular flooring choice, and it is fairly resilient. It does not easily scratch or become dented. It is easy to clean and can be custom de signed for your home. Hardwood flooring provides a refined look for your home. It is easy to clean and provides a warm feeling for your home that guests will positively re spond to. It can scratch and ding easily; however, with maintenance and sanding, the floors can be maintained and will last. When considering the most durable flooring for parties, it is essential to consider both practicality and personal taste. With the vast array o f options available to homeowners who enjoy entertaining, one can easily select a flooring type with the perfect balance of class, warmth and resilience for their particular needs.